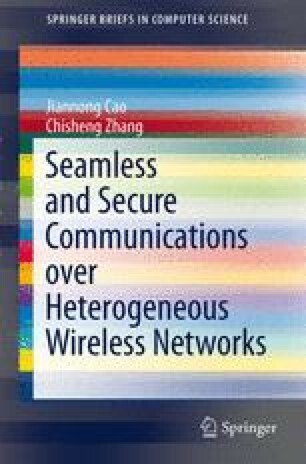 In this chapter, we further discuss the security mechanisms to enhance seamless roaming over heterogeneous wireless networks. The existing security solutions in current cellular networks and IEEE 802.11 WLAN are first introduced in Sect. 4.1. Some related work on security-enabled seamless roaming is briefly summarized in Sect. 4.2. Finally, our recent work on secure enhancement in seamless roaming, based on our SHAWK platform, is presented in Sect. 4.3, including a unified access test-bed and a VCL/VAS-based security scheme for fast handover.